For both small companies and mega-brands alike, social media can pose a tremendously powerful opportunity to engage with customers, industry influencers, and prospects. An effective digital marketer will be acutely aware of conversations online that are relevant to their brand and product or service offering. They'll jump into a conversation when necessary to help answer a question or provide insight. They'll also help manage online discussions about the brand. And they'll engage their audience and get them excited about what the company is doing. In this article, I'll outline five of my top social media tools to help you manage your social channels and practice effective social media marketing and community management. One of the best parts of Buffer is its speed in being able to schedule posts throughout the day and its simple, streamlined interface. It's very easy to login to the system, compose an update, and publish it to Facebook, Twitter, LinkedIn, Google Plus, or all four channels at once. And then you can view analytics (without having to navigate onto a new page) that give you insight into clicks, reach, and more. I also like that you can choose ahead of time when you'd like your posts to go out and then throughout the day, week, or month, quickly and easily add new content to your library that will be automatically sent out at the times and to the social channels you've selected. You can also easily connect your bit.ly account or other link shortening service to Buffer so your links get automatically shortened and, of course, become trackable. While there is some overlap between the functionality of Buffer and Hootsuite, you can do a lot more with Hootsuite, such as publish to more social sites, view the streams of multiple social channels in one place, get detailed analytics with graphs and charts, take advantage of fairly robust of functionality for social media teams, and more. One of the features I enjoy most is that you can view your Twitter lists and each person on your lists' followers, following, and Klout Score. This is useful in helping you to identify industry influencers and good candidates to develop a relationship with. I also frequently use the Analytics features in Hootsuite to get a sense of how well my social channels and content are performing and get ideas for how to optimize them both short and long term. Mention is great for helping you monitor the web and social channels. It allows you to pick up important conversations and then jump in and respond right away. You can login to your dashboard and immediately see and manage online mentions of keywords you're tracking. You can also get email alerts sent to you for added convenience. I use Mention in combination with other monitoring services like Google Alerts, Topsy, SocialOomph, and Twilert, as I find some of the services pick up conversations others don't. By using a combination, I'm able to get the most comprehensive understanding of what's really being discussed on the web and social web. When it comes to managing your Twitter followers and finding new and interesting people to follow, Tweepi won't disappoint. You can see who hasn't followed you back and vice-versa and unfollow people who you no longer feel are worth connecting with. I like that you can find new users to follow based on interest, which can be a helpful way to grow your Twitter presence with quality followers that can relate to your brand or product. Feedly is my go-to site for organizing and viewing all of the blogs I follow. I use Feedly to read through posts on different blogs and Feedly lets me comment on posts and interact with different communities very efficiently. It's really easy to find and add feeds that interest you and are relevant to your business. Commenting on others' posts with helpful information and advice is a great way to generate greater awareness of your own blog or website. When people see that you're contributing to their blog, they'll often check out yours, subscribe, and/ or write a comment. I hope this article has helped you learn about some of the better social media tools available today. You can use these tools to improve your social marketing moving forward and become a more savvy digital marketer. 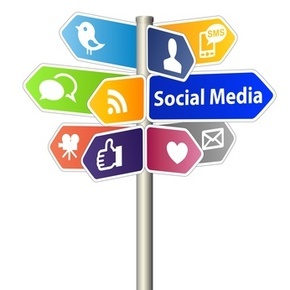 Depending on your social media goals, the sites discussed above can support you in achieving your objectives. Matthew Collis is a marketing specialist with expertise in digital marketing and communications. He currently works for IXACT Contact Solutions Inc., a leading real estate CRM firm, where he plays a key role in overseeing marketing and communications programs as well as planning and implementing strategic marketing campaigns. Matthew has published articles in AGBeat, Inman News, and BusinessSoftware.com, among others. You can reach him at matthew.collis@ixactcontact.com or connect with him on LinkedIn here.